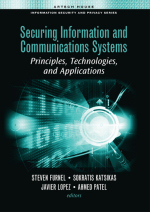 This chapter provides a baseline introduction to the concepts of IT security, as well as providing a background on the need for protection from an organizational perspective. It begins by providing examples of incidents, statistics indicating the scale and nature of the problem and a number of cases drawn from relevant surveys. These incidents are linked to the key requirements for preserving the confidentiality, integrity and availability of systems and data. This overview leads into a more specific consideration of the main classes of abuse and abuser. The chapter introduces many of the topics and terminology covered in later sections allowing the reader to build a solid foundation upon which to base the material in later chapters.